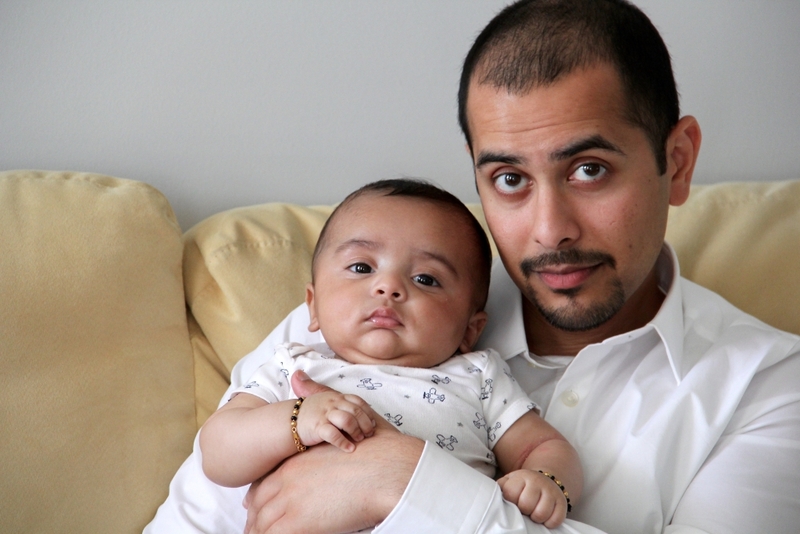 For many new moms feeding their newborn baby is a very personal experience and they really don’t want to talk about or share their experiences, which is completely understandable. Dipti actually wants to tell her story as she thinks that it will give hope to those who are struggling like her. For her, feeding Diav was and still is the hardest part of raising her munchkin and she has used every resource (mainly her sisters and new mommy group made up of her friends) available to her to try to make it easier. Turns out, it just doesn’t get easier, no matter what! Dipti and Diav were in the hospital for a whole week before they went home so Dipti got plenty of guidance to get the nursing thing right. The first few days of nursing were great – he was gaining weight (or losing it and then gaining it or something – it’s all pretty hazy, all she was told was that it was working). The day before they were leaving the hospital things started getting rough. Intense pain started kicking in and Dipti was miserable. She spoke to nurses, lactation consultants, doctors, anyone who would listen! They told her a million different things to try but none of it worked. For Dipti the pain became unbearable. She immediately called Nina who told her to try to pump for a few days while she healed. That’s where her pumping journey began…. (side note – make sure you call your insurance company if you are thinking about pumping because a lot of times they cover the cost of the WHOLE THING!). At first her intention was to completely heal before she started nursing again. She pumped every 3 hours and Diav ate every 3 hours (around the clock). Her mother in law would feed him a few times while Dipti rested/pumped/ate/walked around, Sachin would feed him at night when he got home from work, and Dipti would feed him in the middle of the night. They had a great thing going! Sachin and Dipti loved that they knew EXACTLY how much Diav was eating and Dipti loved knowing that she was producing enough for her little bub. Meanwhile Sheena and Nina kept encouraging her to try nursing again but Dipti’s fear of pain overcame any desire to go back. Dipti will tell you how easy it is to get insanely neurotic about knowing exactly how much he is eating, that sometimes if Diav didn’t eat 1/2 an ounce she would be freaking out… not recommended. Nina always tried to remind her that as long as he has pee/poo diapers and is gaining weight, he’s fine – leave him alone! Anyways, pumping is now a journey Dipti, Sachin, and Diav are on together (as well as the whole family it seems)! It takes everything in Dipti’s power not to give up and Sach is super supportive when Dipti whines and complains about how much she hates it. When Diav turned 2 months old Dipti’s ability to function on 2 hour stretches of sleep was pretty nonexistent and her hatred for the pump was in full force. She spoke to her doctor who told her that, because she was over producing for Diav, she could cut out her middle of the night pumps – music to her ears! She knew from mommy groups that she couldn’t just cut them out so she devised a system – at first she was pumping at 12am, 3am, 6am, 9am, 12pm, 3pm, 6pm, 9pm (a.k.a. “torture”). She started weaning her middle of the night pumps by first extending her pumping to every 4 hours (6am, 10am, 2pm, 6pm, 10pm, 2am). She did that until Diav’s 3 month birthday. Then she started weaning her 2am pump (the worst of them all). She did this by extending the 2am pump every hour for 2-3 days each (6am, 10am, 2pm, 6pm, 10pm, 3am for 2 days; 6am, 10am, 2pm, 6pm, 10pm, 4am for 2 days; and so forth). At Diav’s 4 month birthday Dipti was fully out of middle of the night pumps but Diav was still waking up to be soothed! His physician (and Nina – his personal nurse practitioner) told the parents that it was a good time to sleep train him – music to Sachin’s ears, wrench in Dipti’s heart as she knew what that meant. She told them to try the “cry it out” method (please no judgment or negative comments!). Turns out Diav wanted to sleep just as much as the parents because a few days later no more cries! He slept, Dipti slept and Sachin slept for the first time in 4 months – no crying, no pumping! Sure, they still go without sleeping a full night here and there but like all mommies will say, it’s a work in progress! As Diav approaches his 5 month birthday, Dipti has been toying with the idea of cutting down to 5 hours between pumps instead of 4. She’s scared of her supply dropping – as of now she freezes about 6-10 ounces a day as opposed to before where she was saving about 20 ounces a day. She’d love to hear what you moms did to keep up your supply but put a larger gap between pumps! Her goal is to carry on pumping for 6 months at which time she’ll take it month by month because the sound of that pump might be the end of her! Dipti thanks this Facebook group for all of their help and advice. She also would have thrown the pump at a wall if it wasn’t for her sisters and new mommies’ group encouraging her to keep going! And to her baby daddy and sweetest bubba, they really are the reason she keeps going. 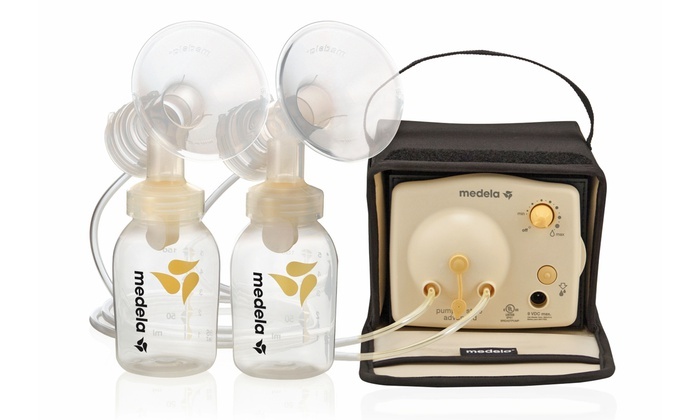 Medela Breast Milk Bottles – LOVE THESE!!! *** Disclaimer – Believe us, we do not endorse or get paid to promote any of the mentioned brands or products, it is simply things we have used and like ourselves.